Despite an upbringing in the Carrollton neighborhood of New Orleans, and a bloodline to some of the earliest jazz musicians, Michael White did not get his start playing jazz. An aunt who played clarinet inspired him to take up the instrument in elementary school, where he primarily studied symphonic music and marched with the famed St. Augustine Marching 100. It wasn’t until much later, in his late teens, that he first heard live New Orleans jazz played at Jazz Fest, and he became inspired by the music of the city. He would play his first professional gig with Ernest “Doc” Paulin’s Brass Band in 1975 at a church parade. His jazz career grew, as he played primarily in social club parades and jazz funerals with Paulin’s group and other bands and musicians including the Danny Barker-founded Fairview Baptist Church Marching Band and George “Kid Sheik Cola” Colar. In the late 1970s, White discovered a recording of George Lewis that would serve as his primary inspiration to pursue a life as a New Orleans jazz clarinetist. He would later dedicate an album in honor of the New Orleans musician, the 2000 release, A Song for George Lewis (Basin Street Records). 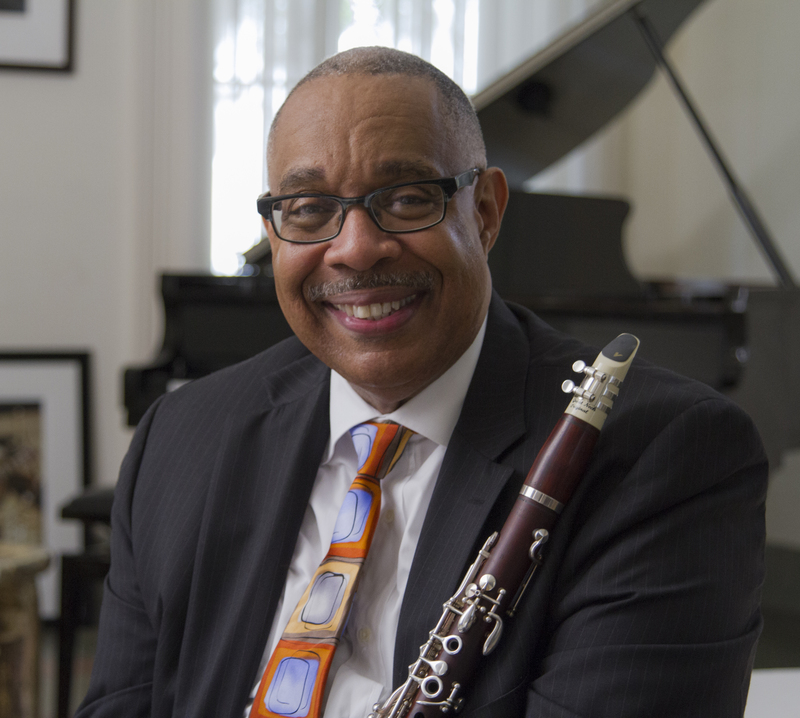 In addition to Lewis, Dr. White cites a number of other clarinet influences including: Sidney Bechet, Johnny Dodds, Barney Bigard, Paul Barnes, and Willie Humphrey. He formed his first group, the Original Liberty Jazz Band, in 1981. 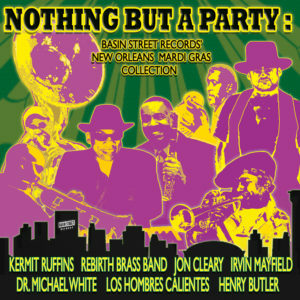 A band that regularly performs in New Orleans, and that held a weeklong annual residency around New Years Eve at The Village Vanguard in New York City for many years. He continues to lead that band as well as two smaller groups, the Liberty Brass Band and the Michael White Quartet. Since 1979 he has also played in the Young Tuxedo Brass Band, founded by clarinetist John Casimir sometime in the 1940s. During this early part of his career, he had the opportunity to play alongside more than three dozen traditional jazz musicians born between 1890 and 1910. It is White’s crystal-clear clarinet that can be heard on Wynton Marsalis’ critically hailed 1989 release, The Majesty of the Blues (Columbia Records). White worked with Marsalis, the artistic director for Jazz at the Lincoln Center in New York, on A Tribute to Jelly Roll Morton, a series of concerts that were performed there, and that were reviewed favorably by Jon Parales of the New York Times. White also served as musical director for concert tributes to King Oliver and Sidney Bechet that were collaborations with Marsalis and the Lincoln Center Jazz Orchestra. He has since served as an artist-in-residence for Lincoln Center Jazz Orchestra. 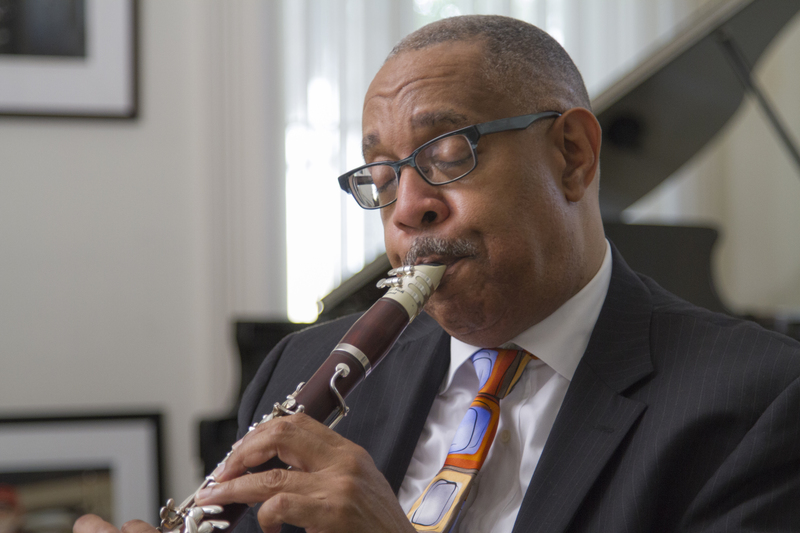 In addition to his collaboration with Marsalis, White’s unique clarinet sound has been included on recent recordings by several legends of popular music, including Eric Clapton, Taj Mahal, Paul Simon, and Marianne Faithful. Throughout the 90’s Michael White recorded a variety of records with multiple record labels including 1992’s New Year’s Eve Live at The Village Vangaurd (Antilles). 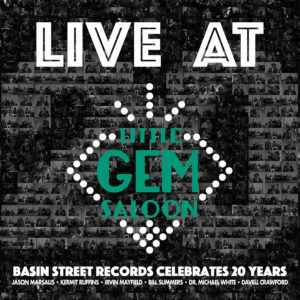 The year 2000 marked the beginning of his relationship with New Orleans-based label, Basin Street Records, which has released the majority of his most recent solo work including A Song for George Lewis (2000), Jazz from the Soul of New Orleans (2002), Dancing in the Sky (2004), the post-hurricane Katrina reflective Blue Crescent (2008), and the two part Adventures in New Orleans Jazz, Parts 1 & 2 (2011, 2012). In 1980 White began teaching Spanish at Xavier University, while he maintained a career as a gigging musician. 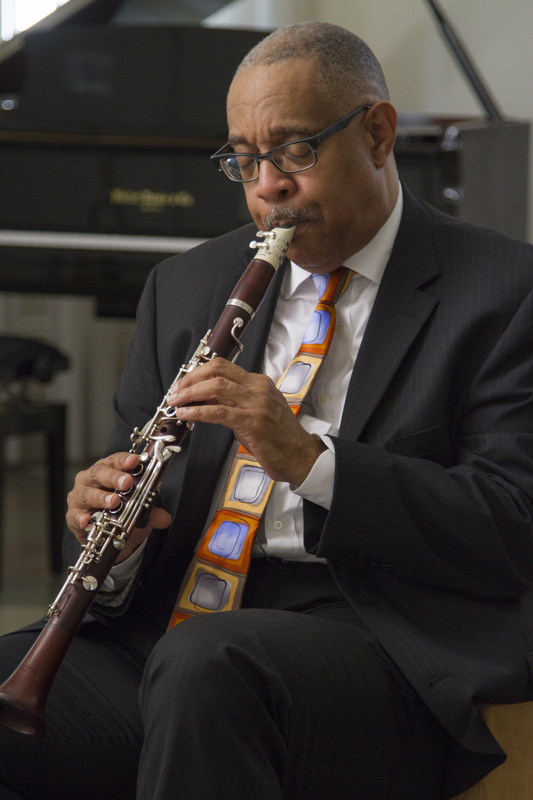 His relationship with the university would grow over the years, and led him to being awarded the Rosa and Charles Keller Jr. Endowed Chair in the Humanities, under which he currently teaches African American Music. Dr. White does extensive work hosting workshops and teaching about New Orleans music, including guest coaching at Julliard School of Music. Since 1995 he has served as the main consultant for traditional jazz for the New Orleans Jazz & Heritage Festival. 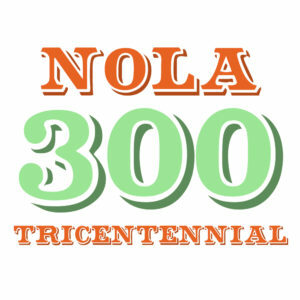 In 2002 he began producing the Culture of New Orleans Series at Xavier University, a highly successful program of over two dozen lectures, concerts, and film presentations featuring the authentic traditions and people of New Orleans. Michael White continues an active career in a variety of capacities, and his collection of awards, accolades, and accomplishments is ever-growing. These include receiving the rank of Chevalier of Arts & Letters from the French government in 1995, being awarded the 2008 Heritage Fellow of the National Endowment for the Arts (the nation’s highest award in the traditional and folk arts), and being named the 2010 Louisiana Endowment for the Humanities Humanist of the Year. He has been awarded Clarinetist of the Year by Offbeat Magazine in 2010, 2013, 2014, 2015, and 2016, in addition to winning Best Traditional Jazz Artist of the Year from Gambit Magazine’s Big Easy Awards in 2010. In 2012, he made several national television appearances: The Allstate Sugar Bowl National Anthem, HBO’s Treme, National Geographic Channel’s America’s Lost Treasures, International Jazz Week Celebration—various news channels, and CNN’s New Year’s Eve Celebration. He has also been featured on NPR’s Music Inside Out with Gwen Thompkins. In 2015 he received the Jazz Hero Award from the Jazz Journalists Association of America, and he produced the recording New Orleans Brass Bands: Through the Streets of the City for the Smithsonian Institution.